The Intercontinental Ballistic Missile (ICBM) is a ballistic missile that is guided to the target. It can travel at least 3,400 miles and was built primarily for transporting nuclear weapons. ICBMs have the capability of being launched from airplanes, submarines, missile silos, and vehicles. They became an integral part of the MAD doctrine because these weapons allowed the flexibility that enabled the country to strike back and destroy the enemy. It basically guaranteed a second strike. 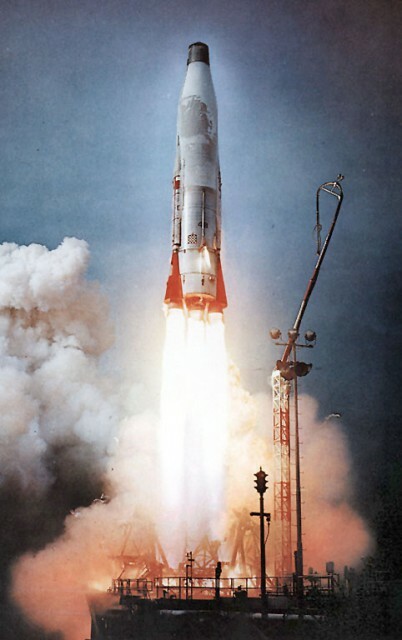 With the advancing of technology, it came to fruition that an ICBM could be used to launch several nuclear warheads at once because of the MIRV. The MIRV, which is a Multiple Independently Targetable Re-entry Vehicle, is a payload for ballistic missiles that contains multiple warheads. Each warhead has the capability of being aimed to hit one of many targets. The old fashioned warheads could only transport a single nuclear bomb on a single missile and aim for a single target. 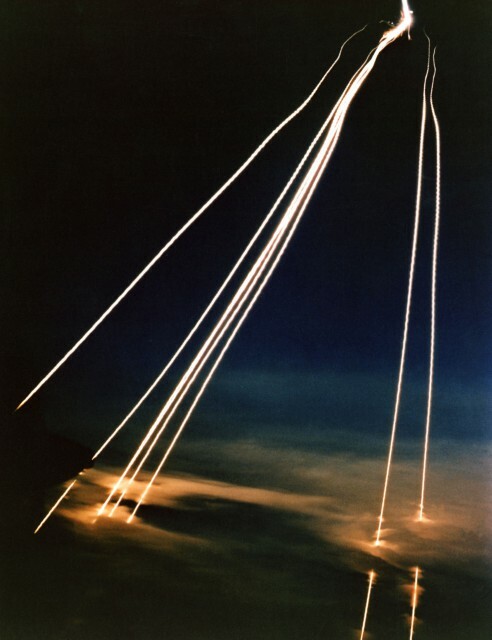 The next step was the multiple reentry vehicle (MRV) missile that could carry numerous warheads that were all dispersed but not individually aimed which resulted in a blast similar to a shotgun. The MIRV solved that problem, all warheads were now targetable. 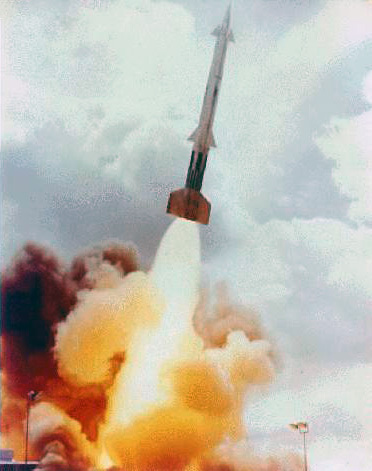 The launch of a US Army Nike-Zeus missile, the first ABM system to enter widespread testing. Anti-ballistic missiles arrived with the launch of the Nike-Zeus missile by the U.S. Army. It entered widespread testing. The thought that a nuclear strike could wipe out the U.S. didn’t fare well with politicians and the military. The plan was to create a weapon that could be used to destroy incoming nuclear warheads before they could strike. While this undermined the MAD doctrine because there could indeed be a winner of a nuclear war, both the U.S. and the Soviet Union created anti-ballistic missile systems during the 1960s. Unfortunately, they never resulted in an usable weapon. After anti-ballistic missiles had come into play, President Ronald Reagan advocated the next step in the military preparations. 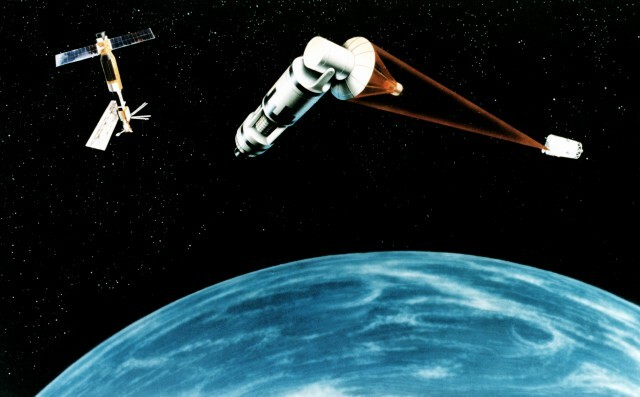 On March 23, 1983 he Strategic Defense Initiative (SDI) was proposed. This was a missile defense system designed to protect the country from attack from strategic nuclear weapons. It combined orbital deployment platforms with ground-based units with the initiative emphasizing strategic defense instead of the MAD doctrine. It was determined in 1987 that SDI wasn’t just impossible with the current technologies, but it would take at least ten more years of research to determine feasibility. 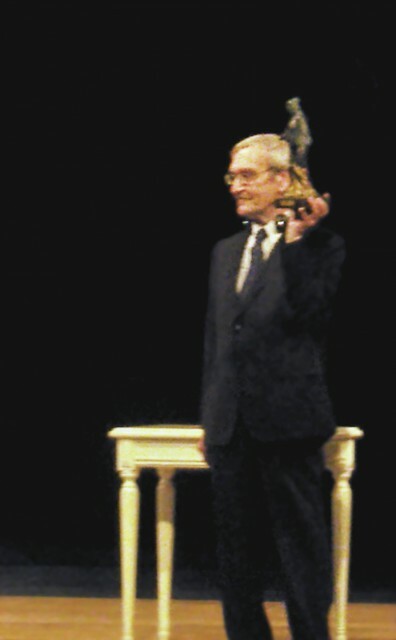 Stanislav Petrov receiving the Dresden Prize, 2013. Russian Lt. Col. Stanislav Petrov was the officer on duty at the Oko nuclear warning system on Sept. 26, 1983. The system reported that a missile, which was followed by at least one and as many as five more, were being launched from the U.S.
Petrov decided it was a false alarm and decided not to retaliate with a nuclear attack on the U.S. and its allies. Because of MAD, it could have been a full-scale nuclear war. After an investigation, it was determined that the satellite warning system had malfunctioned and Petrov was deemed a hero.